The pool spillover bowl is one of the best additions that you can have in your backyard. These water bowls are custom handcrafted in order to add elegance to your backyard. Pool spill over bowls is fine decorative pieces that will significantly enhance your outdoor living space. You will find them in most homes because of the value that they bring into the home. Pool spill over bowls come in a broad range of sizes and shapes. What can limit the size and shape that you can go for is just your imagination. All these varieties are available in the market for you to purchase. However, you can also choose a custom-made item that will meet your consumption needs with a higher level of accuracy. All you need to do is sharing with the craftsman about your desires. You can be sure that he will definitely turn them into reality. You can model the pool spill over into any size or shape that you desire. This will bring a unique facelift in your backyard that can be compared to no other. The other thing you need to understand is that pool spill over bowls can be crafted from various materials. The most important thing is to get a high-quality material that can withstand the type of work that this equipment does. Remember this is an equipment that is holding water most of the time. In addition, it stays outdoors always and hence exposed to hard weather conditions and the activities or human beings and pets. The material should thus be tough enough to withstand these tough conditions. The main intention of adding the pool spillover bowl in your backyard is to enhance its aesthetic appeal. Therefore, there is a need to balance between the elements of functionality and beauty while choosing the material. You need a material that is tough and aesthetically pleasing. Most of the homeowners like to buy pool spill over bowls that are crafted from the copper material. The good thing with the copper material is that it comes in all standard colors and custom finishes. You are not going to miss out on a product that will match with the theme of your home. 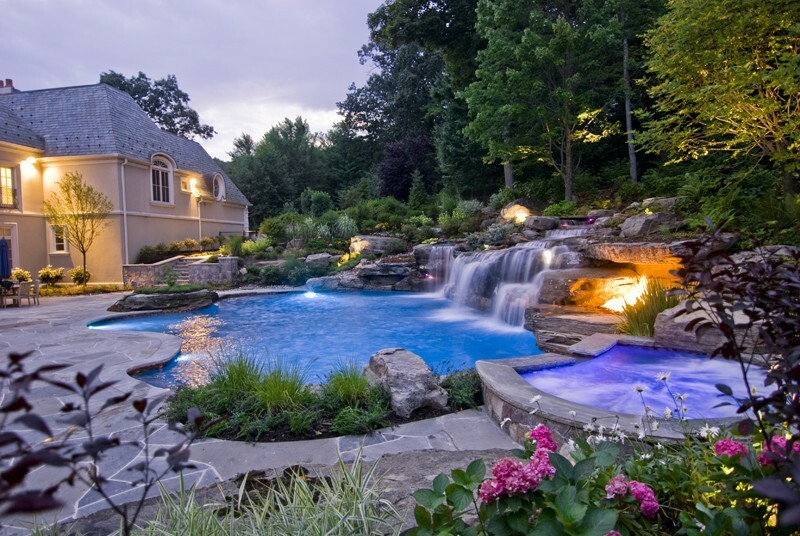 You can be sure that the pool spillover the bowl will become the focal point of your backyard. All your visitors will be marveled at what they see when they step into your space. Some designers also use products like Dura Cast that are designed to stimulate the creativity and imagination of the user. The product is normally polymer cement that is reliable and proven even during the extreme weather conditions. The pools spill over will stand the test of time whether it is during the cold or hot days. This cement is also more lightweight in comparison to regular cement and will stand the test of time during harsh situations. Look for a brand that has standalone water features and spills over into your hot tub or pool. You can get a pool over a bowl that is designed with your specifications in mind. The most important thing is to consult with http://www.customconcreteorlando.comcraftsmen and you will be good to go. Most of these products are manufactured for easy installation and you can even do it yourself. You can put them in any pool controller system or home system. You will also get a broad range of finishes and you need to choose that one that you will surely love. Value addition is key whenever you are choosing a pool spill over the bowl for your home. Its one of the best features you can add to your home even if you are planning to list your home with a realtor.